A sad day for all of us. Edhi passed away. Iqbal: "Too much undue attention is paid to individual economists in the calculation of GDP growth rate." The opinion of India's Central Bank Chief Rajan can not be dismissed as that of "individual economists". Raghu Rajan questioned Modi's GDP data and ended up losing his job recently. US Secretary of State John Kerry assured Foreign Affairs Adviser Sartaj Aziz that United States is ready to improve and expand its multidimensional partnership with Pakistan. Aziz and Kerry met on the sidelines the ASEAN Regional Forum (ARF) Ministerial Meeting being held in Laos, where both the dignitaries also exchanged views on the regional situation with special reference to Afghanistan. According to a communiqué issued in Islamabad, Aziz and Kerry agreed on the importance of promoting the Afghan-led reconciliation process. US Secretary Kerry appreciated Pakistan's determined efforts to eliminate terrorist groups in Pakistan's tribal belt with considerable success. “I would like to visit Pakistan in the near future to review bilateral cooperation and discuss regional issues,” he said. Meanwhile, the ARF Ministerial Meeting, which was attended by 10 ASEAN members and 17 dialogue partners, concluded today. British Prime Minister Theresa May said Pakistan is its dependable ally and assured Prime Minister Nawaz Sharif that both the countries will work together in the post-Brexit era and there will be “no adverse effects on the bilateral relations after Great Britain exits the EU”. 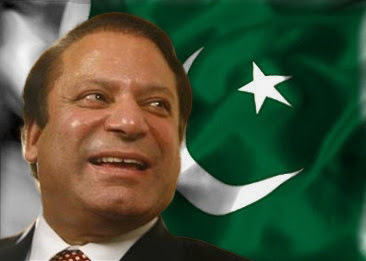 May, who telephoned Nawaz on Tuesday, said Pakistan and the United Kingdom will work together as bilateral partners. She assured that Great Britain is committed to work with Pakistan in security related matters and strengthening democracy. Nawaz expressed his confidence that under her leadership and vision, Britain will become ever stronger and continue playing important role in world affairs.